As previously reported, on June 26, 2017, a delegation of Turkmenistan headed by the Minister of Foreign Affairs R. Meredov arrived in Tokyo to participate in the 12th joint meeting of the Turkmen-Japanese and Japanese-Turkmen economic cooperation committees. In the first half of the day, the delegation of Turkmenistan visited the Parliament of Japan, where a meeting was held with the Chairman of the Parliamentary League of Japan-Turkmenistan Friendship, Mr. Endo Toshiaki. In the course of the meeting, the sides noted the significant potential for expanding bilateral cooperation in science, education and sports. The parties also spoke in favor of strengthening inter-parliamentary ties and stimulating the exchange of experience in the field of lawmaking. Then the delegation of Turkmenistan arrived in the Ministry of Foreign Affairs of Japan, where in a working lunch format a meeting with the Minister of Foreign Affairs of Japan, Mr. Fumio Kishida, was held. During the talks, a wide range of issues of cooperation in the political, trade-economic and cultural-humanitarian spheres was discussed. An exchange of views took place on the issues of interaction within the framework of international organizations, as well as within the framework of the Dialogue "Central Asia + Japan". During the meeting, a preliminary agreement was reached on sending Japanese judo trainers to Turkmenistan to exchange experience and prepare Turkmen wrestlers, as well as the participation of the representative delegation of Japan in the Asian Games-2017 in Ashgabat. After the joint meeting of the Turkmen-Japanese and Japanese-Turkmen committees for economic cooperation, the delegation of Turkmenistan met with the Minister of Economy, Trade and Industry of Japan Mr. Hiroshige Seko. At the meeting, issues of boosting trade and economic cooperation, in particular, major projects of economic cooperation, as well as the course of preparation for the two-side Investment Agreement were discussed. Then the Turkmen delegation left for the Cabinet of Ministers of Japan, where they had a meeting with Deputy Chief Secretary of the Cabinet of Ministers of Japan Mr. Kotaro Nogami. During the talks, the sides exchanged views on the issues of cooperation between the two countries in the political and trade-economic fields. The parties discussed the progress of construction in Turkmenistan of modern high-tech enterprises with the participation of large Japanese companies. 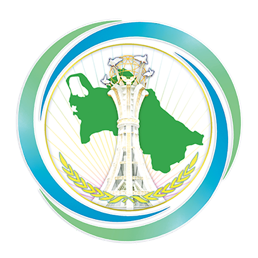 In this context, it was stressed that most of the projects implemented are advanced in terms of using modern technologies and innovations, and from this point of view fully correspond to the course of social and economic development of Turkmenistan. After the meeting, the delegation of Turkmenistan, having completed the visit, left for Ashgabat.